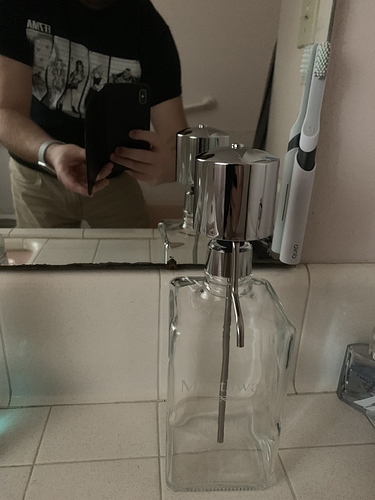 It's just mouthwash, how come you can never use it? Mouthwash… I don’t dislike it, it’s not like I have something against it but it’s something that I personally need to do because my gums aren’t the best. I have issues using it because of my cleaning and organization habit of my bathroom. Having something on my sink counter that doesn’t look great and not easily accessible, I’ll forgot to use it even it out. Then I come along and clean the bathroom and then I move the mouthwash down to underneath the sink. Enter my work. 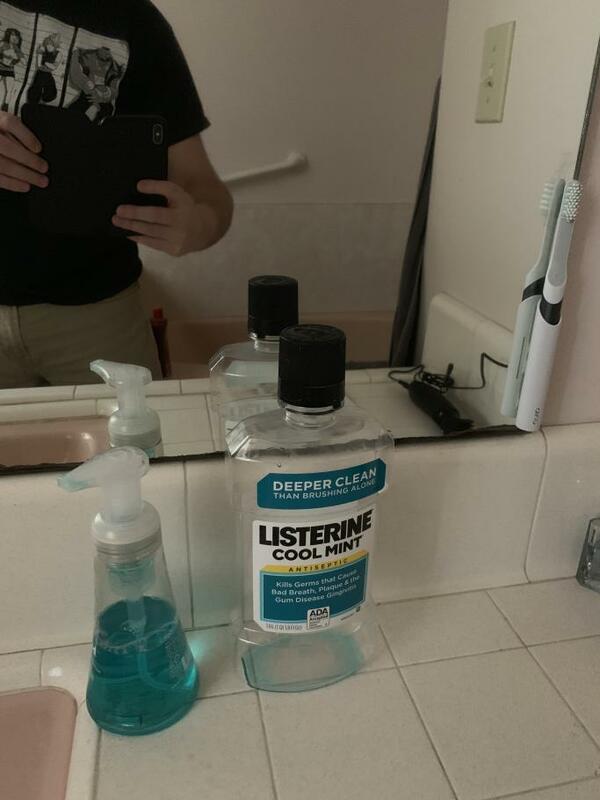 I use the mouthwash there? Why!? Because at my work bathroom, it’s in a dispenser and part of the bathroom. I use it at work 10x more likely than at home. It’s part of the bathroom now. And it’s right next to my toothbrush, so I won’t forget. It might have been a bit more expensive compared to others, but I liked it and used it all the time at work. I didn’t want to compromise by getting a different brand that would have been a lot cheaper but then I would never use it. Ii figured it was a good story to tell because it’s one of those small little things I struggle with. Something that I’m sure a lot of you can relate to. This was a solution I saw working for me, so I went for it. I forgot to use it… all the time because it’s not in vision for me in the morning for my routine. This is my personal nemesis. I have medication for asthma that I just don’t use because I don’t see it every day (my bedside table is way too cluttered so I got a sectional box and now NOTHING is in my sight line!) and I had to keep my contraceptive pills OUT of the box because otherwise I would forget to take them and that is just not happening. There is so much stuff in my life that might as well not exist because I can’t see it. The only way I could arrange my clothes so I actually wear all my T-shirts and not just the ones on the top was to roll them and lay them out so when I open the drawer I can see them all at once. That was a tip from my mother (who is, we suspect, a Brain herself).